I co-created Liberatory Design Thinking with colleagues because we felt design thinking was not equipped to address complex challenges of inequity. Liberatory Design Thinking is an adaptation of design thinking that accounts for historical context, power, and inequity. It supports designers to practice deep self-awareness, share power with communities, and practice design in more equitable ways. Liberatory Design Do Nows. 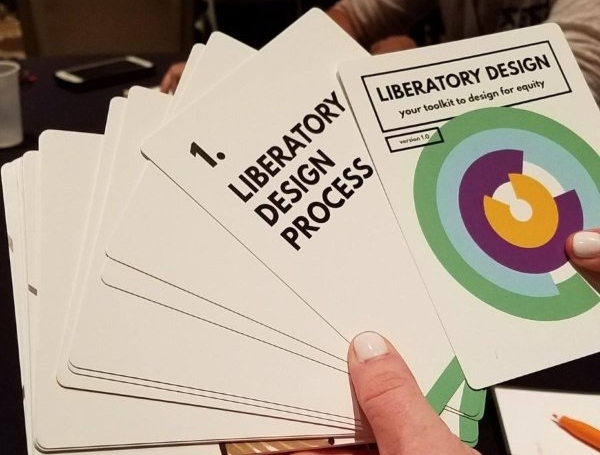 Small actions you can take now to practice Liberatory Design, designed for educators at SXSWedu 2017. This card deck is the result of a collaboration between individuals from the Stanford d.school's K12 Lab and The National Equity Project. It is a work in progress, we welcome feedback. 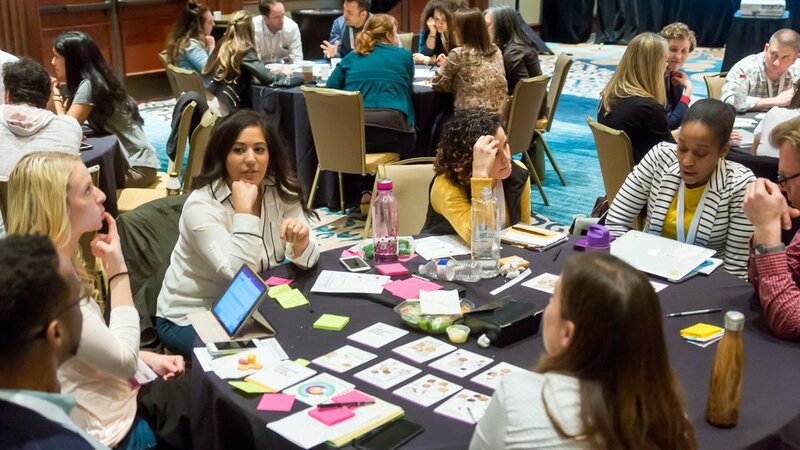 My organization, Beytna Design, uses and evolves Liberatory Design Thinking to co-design creative approaches to address oppression, working shoulder-to-shoulder with community members. This includes work with city and county governments, foundations, a highly contested congressional race, a national media organization, and an equity-centered education organization. These projects include work in the government, education, and criminal justice sectors. The Liberatory Design Thinking process, as first adapted by David Clifford, includes two critical additional parts of the process, NOTICE and REFLECT. These pieces remind designers to NOTICE oppression, power, and history, and REFLECT constantly on how they are working, acting, perceiving.